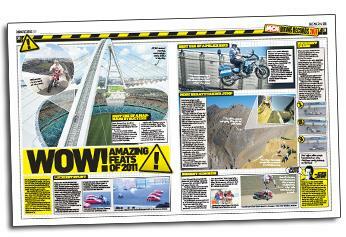 ﻿ 48 extra pages of biking extremes in this week's bumper MCN! 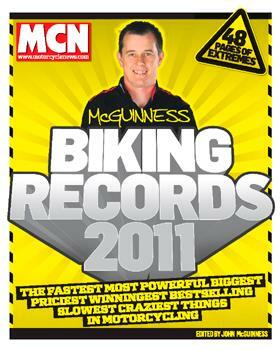 Don't miss the 48-page McGuinness Biking Records 2011 supplement in this week's triple-pack MCN! 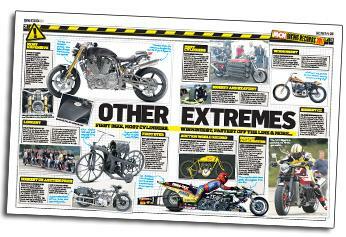 It's 48 packed pages of amazing stories, pics and stats from the fastest, most powerful, winningest, craziest bikes and people in motorcycling. 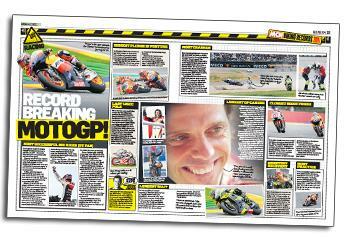 And it's all presided over by our favourite homegrown record breaker, John McGuinness himself. 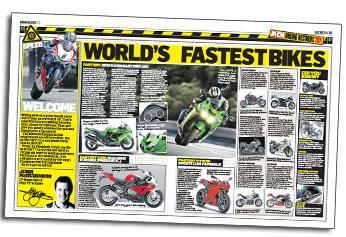 We look at the fastest bikes on the planet - from the undisputed king - the new Kawasaki ZZR1400, to the fastest 125. 'What'll it do mista?' It's the age old question. 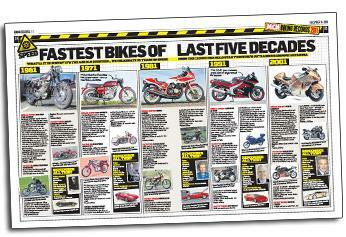 We celebrate 50 years of speed, from the 110mph BSA Gold Star to Suzuki's outrageous 186mph Hayabusa. Real roads, real bike, real bloke: The TT lap record is the speed landmark that means most to real riders. 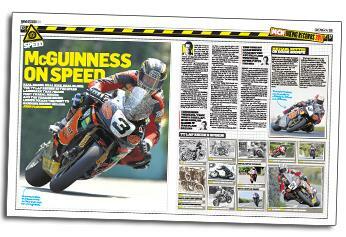 And the year he broke 130mph means the most to reigning record holder John McGuinness. 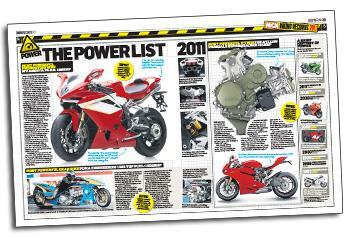 The most powerful bikes around today. From the most powerful production bike - MV Agusta's F4-RR - to the most powerful drag bike - the ludicrous Puma Engineering 1585 Top Fuel, capable of reaching 100mph in one second! From the most expensive bike you can buy, to a bike with 48 cylinders, we have it all covered. From serious racing to ludicrous stunts, this year has not let us down. We look at some of the most spectacular of the year. We look at some of the records broke in the premier class over the last 12 months. And 34 more pages inside!